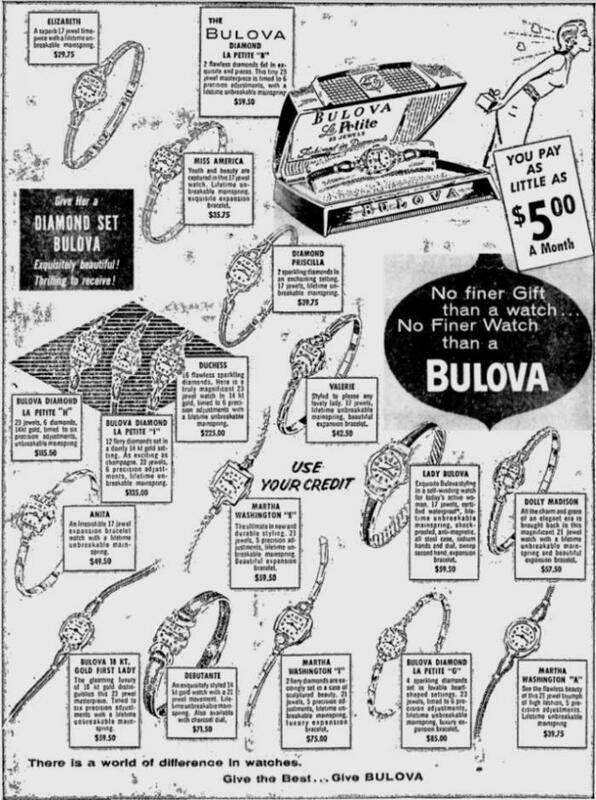 Bulova 1956 Martha Washington "I"
Yes, I would also say Martha Washington "I"
Martha Washington "I" from me. There is at least one other on site. that is 1957 MW "I", as the main display is showing one year earlier than entry in root record. Glitch addressed when published most likely. MW... nice pickup. As soon as I saw it I was like OOhhhhh I seen this one before!